With sanctions relating to Iran’s nuclear program lifted, there was hope the Tehran would interact more with the Western world. But a called-off art exhibition in Berlin demonstrates it’s not so easy. It was billed as an “art sensation” by Hermann Parzinger, the president of the Prussian Cultural Heritage Foundation. Instead, it turned into a messy illustration of the potential pitfalls of cultural diplomacy: It became clear just after Christmas that the much-anticipated exhibition of the collection of the Tehran Museum of Contemporary Art would fail to materialize. The Tehran collection was assembled under the auspices of the last empress, Farah Pahlavi. It includes paintings by Pablo Picasso, Francis Bacon, Mark Rothko, Paul Gauguin, Jackson Pollock, Max Ernst, Wassily Kandinsky, and Robert Motherwell that never been exhibited together in the West before. After Pahlavi and her husband the Shah fled Iran in 1979, museum staff hid the treasures in a basement vault to save them from the revolutionary mob. They lay undisturbed for decades, and have only been shown again in the museum since 1999. Berlin was among many Western cities vying to be the first to exhibit the collection after the nuclear deal in 2015 and the ensuing lifting of sanctions. Foreign Minister Frank-Walter Steinmeier hailed the exhibition agreement as “a signal of a new cultural and social openness that we want to use to broaden our dialogue with Iranian society.” The plan was to show thirty masterpieces by Western painters alongside works by Iranian artists such as Parviz Tanavoli, Farideh Lashai, and Jalil Ziapour – first at the Gemäldegalerie in Berlin, then at the Maxxi museum in Rome. The exhibition was originally scheduled to open on December 4, 2016, but it was postponed because of complications after Iranian Culture Minister Ali Jannati resigned in October. The Prussian Cultural Heritage Foundation then set Iran a deadline for the end of December to issue the necessary export permits for the art. A last-ditch mission to Tehran in mid-December by Joachim Jäger, one of the curators, and Andreas Görgen, director-general for culture and communication at the German Foreign Ministry, failed to yield the necessary paperwork. The Prussian Cultural Heritage Foundation regretfully cancelled its agreement with Iran on December 27, saying it couldn’t hold up its exhibition calendar any longer. The reasons why Tehran withheld approval appear to be varied and numerous. 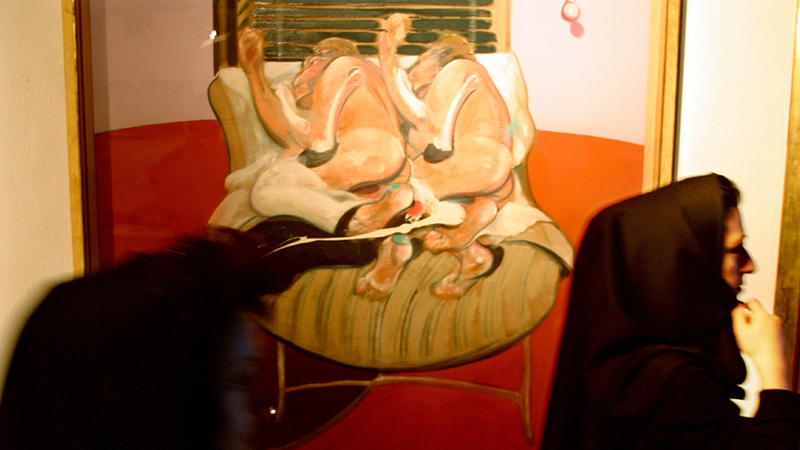 Some Iranian hardliners, disapproving of art in general, were opposed to the exhibition on principle. “This is not a presentation of Iranian culture,” said Bahman Nirumand, an expert on Iran at the Heinrich Böll Stiftung. “That is one reason why the conservatives might have a problem.” Others argued that the show risked taking on the appearance of a homage to the ousted imperial regime, despised by Iran’s current rulers. Iranian newspapers also speculated that if the paintings traveled to Germany, they might never return. What if Pahlavi – who had expressed an interest in visiting the exhibition – tried to seize and claim them, despite the fact that she purchased the art with state money? The preparations were fraught with difficulties. One of those who questioned the project was German Culture Minister Monika Grütters, according to the weekly newspaper DIE ZEIT. An exhibition featuring a competition of cartoons about the Holocaust – many of which entailed Holocaust denial – had opened in Tehran in May 2016. The director of the Tehran Museum of Contemporary Art, Majid Mollanoroozi, was present at the prize-giving ceremony. In a letter quoted by DIE ZEIT, Grütters warned Parzinger in summer 2016 that the incident might reflect badly on the Berlin exhibition, and she distanced herself from the plans. Mollanoroozi was relieved of his responsibilities for coordinating the show. Deeper questions were also raised. Should Germany be cooperating on major cultural projects with a regime that frequently imprisons its artists? A recent victim is filmmaker Keywan Karimi, whose production company said he began serving a year-long sentence in November on charges of “insulting sanctities.” Iranian artists also wondered aloud how the exhibition of the Tehran Museum of Contemporary Art’s collection would help them, and accused the German government of colluding secretively with the Iranian authorities. The exhibition’s collapse is a setback to German-Iranian relations. Before the revolution and for some years after, Germany was Iran’s biggest trading partner and German businesses are anxious to revitalize economic ties in the wake of the nuclear deal. Companies active in the country include BASF, BMW, and Siemens, which announced a deal to upgrade the country’s aging rail network in October. The lifting of sanctions unleashed “some euphoria in Germany and lots of companies started to set about securing a foothold in Iran,” whose crumbling industrial infrastructure is of particular interest to German machinery makers, Nirumand said. Now, “that euphoria has subsided,” in part because companies are concerned they may be subject to fines from the United States, which still imposes some sanctions against Iran. Relations between Berlin and Tehran have already come under strain in recent months. On a visit in October 2016, Economy Minister Sigmar Gabriel was snubbed by the speaker of the Iranian parliament, Ali Larijani, after he warned that friendly ties between the two countries would only be possible once Iran accepted Israel’s right to exist. Larijani cancelled a scheduled meeting with Gabriel without giving a reason. 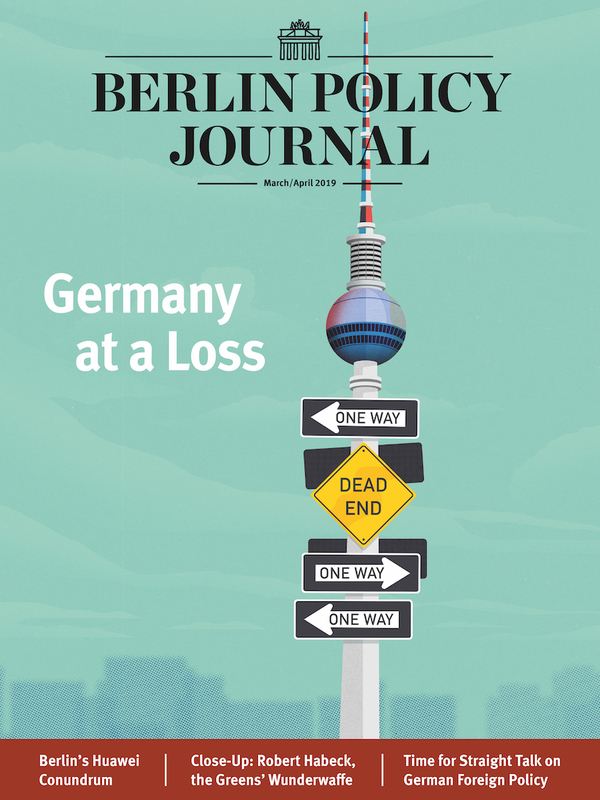 In his article in The Art Newspaper, Görgen wrote that Germany’s rise to prominence on the world stage has led to “a push for a better delineated cultural strategy,” with more funds available and more global cooperation. “Art has to be protected as an open, free space where different views can be expressed… and through which dialogue can be held with all partners, even those who do not share our values and world view,” he wrote. In the end Iranian President Hassan Rouhani, a self-described moderate elected in 2013, withheld the final signature required to let the art travel to Germany. 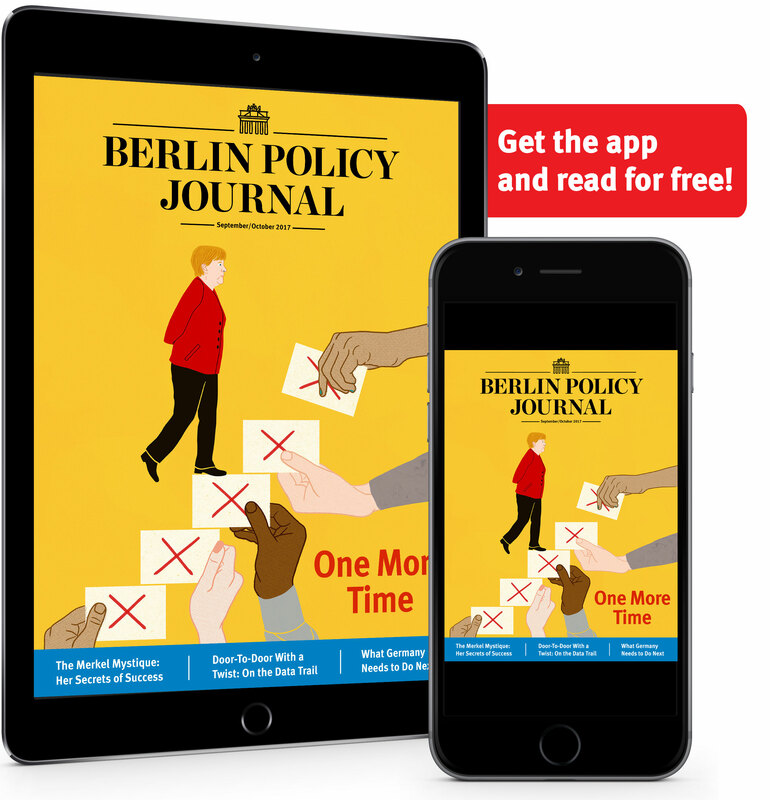 With presidential elections looming in May, he may have decided that the battle over a Berlin exhibition was one he could concede to his more conservative rivals. covers arts and politics from Berlin. Her latest book is "The Munich Art Hoard: Hitler's Dealer and His Secret Legacy" (Thames & Hudson).